Saturday morning I had the opportunity to go do something I LOVE! 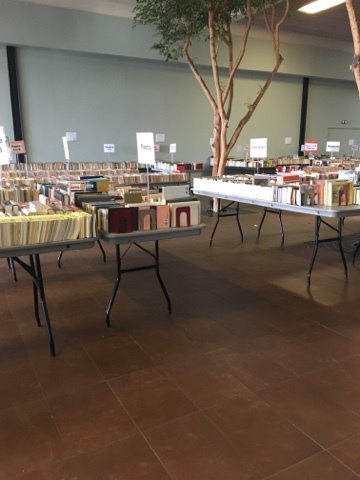 Treasure hunting at a book sale. 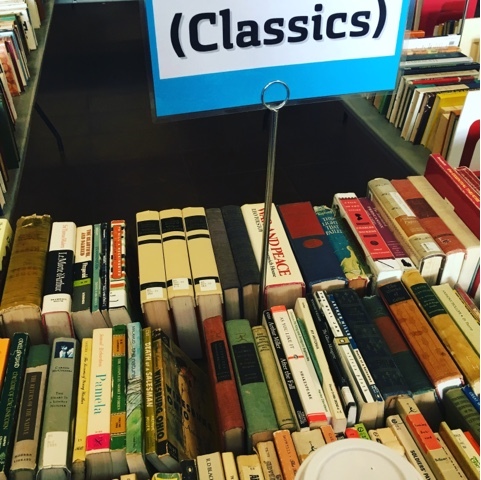 The "Friends of the Library" book sale happens a couple times a year and I love to go and look for books that we may need/want for our lessons or just for our enjoyment. It started at 9 am and I got there way early, so I got a cup of coffee and waited. I could tell that I was not the only one excited, but some for reasons other than mine I believe. Some had scanners on their phones, I'm guessing they were there to buy and resale. Some had huge boxes to fill and had a dolly to carry the boxes on. Some had bags, and some had the rolling carts like I did. 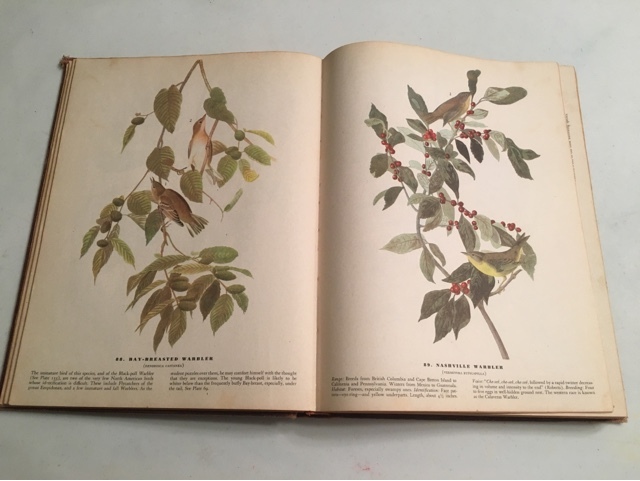 I had my mind set on what I was looking for, I didn't find a whole lot of that... but I did find quite a few useful and beautiful books. 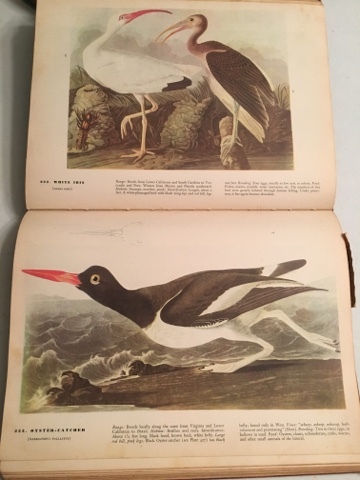 Probably my most favorite find was the hardcover Audubon bird book with reproductions of all his original drawings and notes. 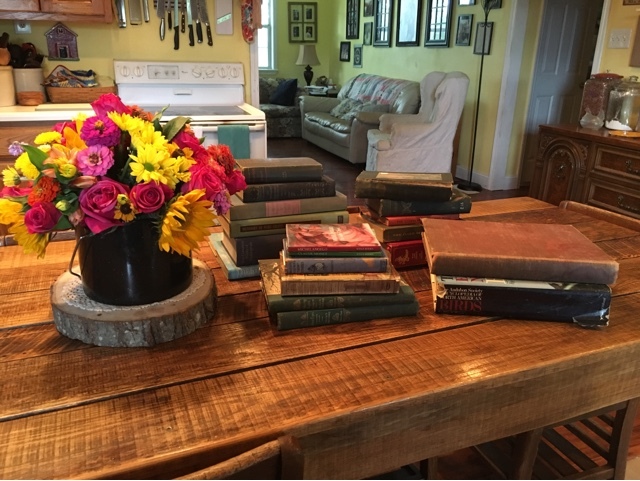 It is a little worn, but really beautiful and I am tickled pink with it! 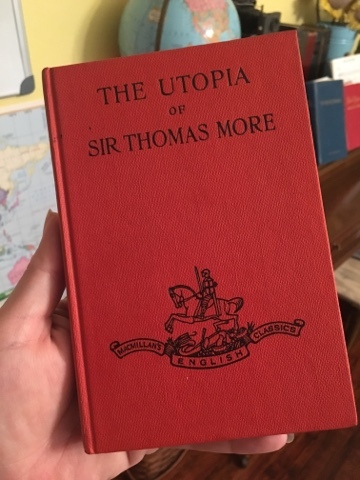 I found a book on word origins and their meanings, I got another copy of "Utopia" and Eli said, "Mom... I read this last year, we already own a copy." and I replied... "But look how pretty this one is!" And being the kinda guy he is and how he understands his mom, he said... "Yeah, this is a nice one, and hardback always trumps paperback." 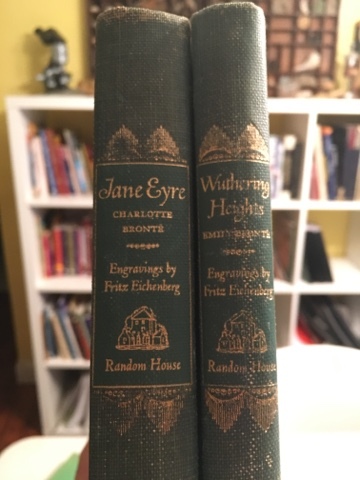 I bought what I call a "Sister set" It was a beautiful hardback matching set of Emily Bronte's "Wuthering Heights" and Charlotte Bronte's "Jane Eyre". They are so pretty. After leaving the fruitful book sale, I ran by Hobby Lobby to look for some specimen jars for our nature shelf. I found exactly what I was looking for and got the kids a crystal growing kit for a science project. We can add that to the nature shelf when we are finished also. It was a nice morning for me. A little time alone. Coffee, books, hobby lobby... what a lovely way to get to spend a Saturday morning.